I HATE paperwork. I hate sorting junk mail. I hate remembering to pay bills. I hate keeping track of it all. I love my childrens cute artwork they bring home from school, but I swear it multiplies over night like rabbits! 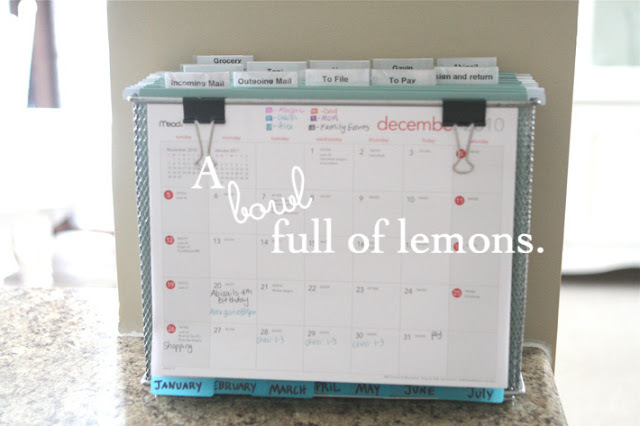 I was blog reading the other day and saw this post by A Bowl Full of Lemons. I get tons of great ideas on blogs, but usually they stay that way – as ideas. But not this post. I literally dropped what I was doing (reading blogs) and went to the office and collected my supplies. A Bowl Full of Lemons mobile command center is way cuter than mine, but I used what I had on hand. I may update it with a cute organizer and a fun calendar for the front. The ONLY part of this idea I can claim as my own is where I write “Ben”, “Allison”, “Travis”, & “Kinsey” on the labels instead of “John”, “Toni”, “Alex”, “Gavin”, & “Abigail”. All the other tabs I copied straight from her tutorial and pictures. Hey, I’m all about creativity, but I have NO SHAME in being a complete and utter copy-cat if I find an idea that is already excellent. 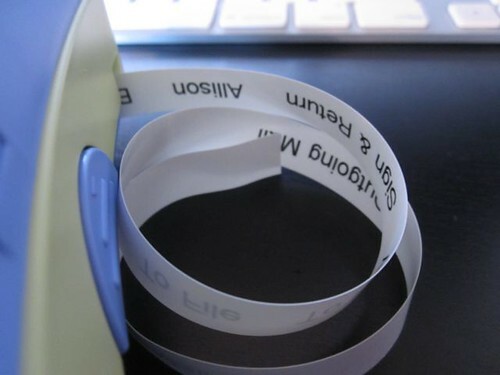 I used this label maker to create all the labels on my tabs. My parents gave it to me years ago, but I’m sure you can still buy something similar at an office supply store. It honestly has improved my life. I use to have a huge pile of clutter on the counter. Now I have this easy-to-access file system. Brilliant idea Toni! Thanks!! 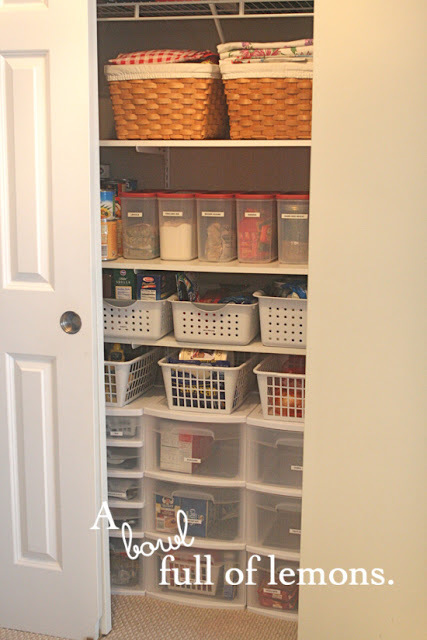 She also has some great tips for organizing your pantry. 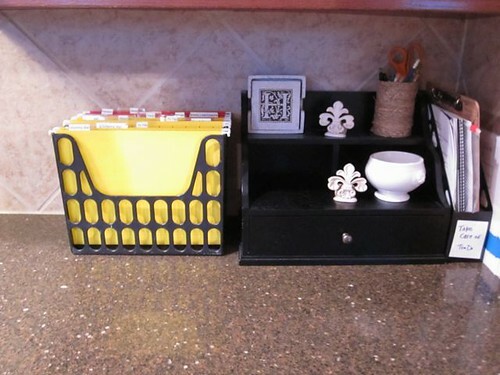 My favorite tips are to use baskets and drawers. Check out her step-by-step tutorial HERE. I just found her blog recently and fell in love with all her ideas. I have this on my plan too to work on this week. Super idea! I’ve been trying to figure out a good way to conquer this. 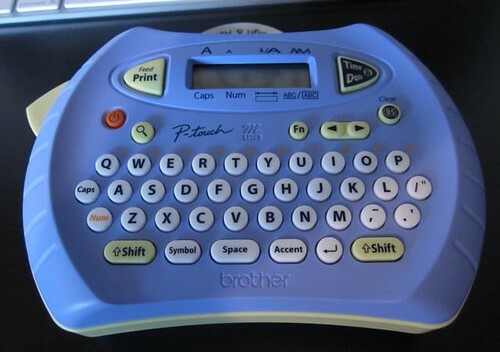 Just thought I’d let ya know that you can often find Brother Label Machine’s at buy.com for $12-15 with free shipping. I’ve found them several times through pinching your pennies emails. It is a Super!!! deal. And you can buy the refill ink things on buy.com for cheap. YOU DID AMAZING!!! I love it. It feels so great to know that the time I have taken to organize my home, take pictures, and post them on my blog.. someone else really utilized it! Im so glad that I inspired you. Thanks for featuring me too! Thanks for featuring this. 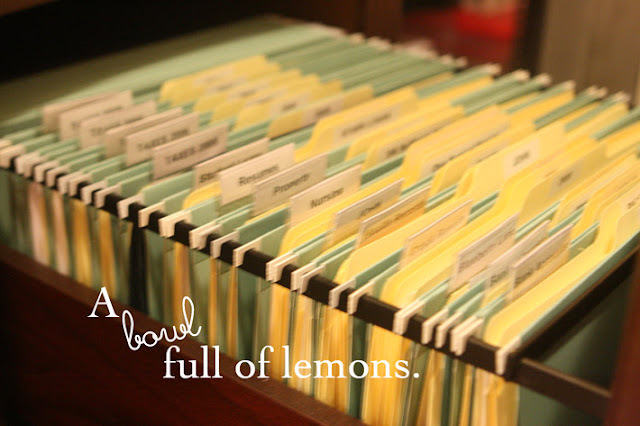 I need something like it and actually I followed the other link you had to A Bowl Full of Lemons and organized my file cabinet too. I’m helping a friend organize her house and I think we might put together something like this. I saw this & fell in love with it too! My New Year’s Resolution is to get our home organized, and I’m starting with this!!!! I Love It! I have a similar black organizer like yours but please it definteily doesn’t look at clean as that! I seems to be the one spot that catches everything and it all get stuffed somewhere aroudn that spot. I have tried and tried to get it organized and it just doesn’t happen. I am the culprit too. My family pretty much let’s me take care of all mail and papers so I can’t even blame it on anyone else. Thanks for sharing! I am defintiely going to be implmenting some changes in this area! In late December or early January, I take the time to go through and purge our file drawer. I shred stuff I won’t need any more. Need to start slogging through it…ugh! I have the same label machine! Whenever I get it out, I go crazy, and want to label EVERY. THING. I recently got some little Post-it sleeves in the office section at Target that you can put inside a cabinet. I like them. 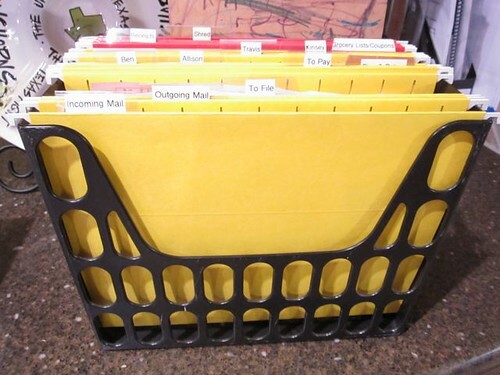 Another good organizer, get paper stuff off your counter, thing. Wow…what a great idea! I SSSOOO need to do this! Hi! 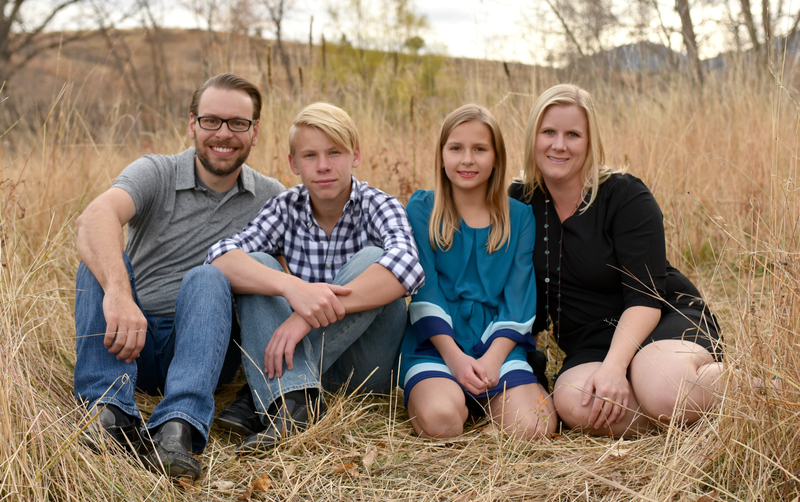 I wanted to let you know I loved your idea so much I did one of my own and even blogged about it and referred to your site. I love mine!